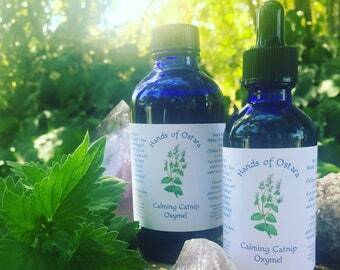 Announcement The Moon & Tides Apothecary offers small batch affordable earth medicine and self care creations in convergence with the Lunar cycles. We use traditional slow infusion methods for our nourishing creations. All of our ingredients are sustainably home grown, certified organic, consciously & responsibly gathered or sourced locally. We love our community which is why we source from fellow Herbalists & Beekeepers for our ingredients. Thank you so much for your support! The Moon & Tides Apothecary offers small batch affordable earth medicine and self care creations in convergence with the Lunar cycles. We use traditional slow infusion methods for our nourishing creations. All of our ingredients are sustainably home grown, certified organic, consciously & responsibly gathered or sourced locally. We love our community which is why we source from fellow Herbalists & Beekeepers for our ingredients. Thank you so much for your support! This hair rinse is amazing. Thank you! I also LOVE the mugwort sample you included. I use it before bed every night - it's wonderful. Seller is wise and wonderful. Her products are amazing, full of the right energy and a MUST have! High quality, care, and good energy make this a wonderful creative kit. I will recommend it to women’s health clients in the future! Sonoma County grown & harvested St.Johns Wort that we use in our salves and infused oils. The Moon & Tides Apothecary offers affordable herbal medicine made with high quality community based ingredients. What we cannot sustainably home grow we source from local herbalists in our community or certified organic from Mountain Rose Herbs. We proudly list all of our ingredients and share our process on our Instagram page @themoonandtidesapothecary because we believe that everyone has the ability to be their own healer through safe and nourishing support of herbal allies. We seek to bring love and nourishment for all through traditional, slow medicine making in convergence with the Lunar Cycles. All of our creations are small batch and slow medicine, we cold infuse all of our oils and tinctures with fresh, dried, homegrown or ethically gathered herbal allies for 1 or 2 moon cycles to ensure potency. We aim to keep our prices low, we believe holistic medicine should be affordable and available to all parts of the community despite financial status. What we are not able to grow in our own sustainable garden we source locally and use conscious wild crafting practices with the benefit of the plant species being our main priority. Depending on Abundance or availability our ingredients in our blends may slightly change with the seasons. Thank you so much for being apart of this journey and growing with us! We do use essential oils in our products but all products are available without. We DO NOT recommend the use of essential oils on children, infants or pets. All of our products that do contain essential oils are made with a .5-1% dilution (very low content). We NEVER recommend internal use of ANY essential oil. We respect how serious and condensed essential oil medicine is and we truly feel that they do hold their place in holistic medicine, but we also want to pressure the ethics revolving around their usage and how they are made. We only source our essential oils from local companies to ensure that the usage in our products are in fact conscious and fair to the plant species. Reiki 2 Practitioner, Ayurveda Clinical Practitioner Student, California School of Herbal Studies Student, Activist, Gracious steward to Gaia, Sustainability, Pisces, Survivor, Feminist, Proud Mama, Plant Lover who lives by the cycles of the Moon.